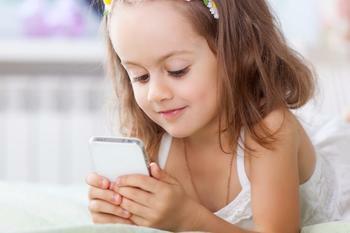 Try as parents may, it’s not always easy to keep an eye on kids’ digital activity. Short of hovering over your child every moment they spend futzing around on their smartphone, there’s no way to monitor all the details of their device usage. Now, Google has released an app that may give parents some peace of mind when it comes to kids’ screen time. With Family Link, parents can manage and monitor their child’s smartphone from afar. The app, which only works on devices running Android Nougat, gives parents the ability to set certain digital ground rules for their tech-savvy offspring. Control and manage apps. Parents have to grant or deny permission to download any apps that didn’t come pre-installed in the device. View detailed usage. See how much time (weekly or monthly) your child is spending on apps by popping over to the App Activity Section. Set caps on screen time. Limit the amount of time kids are allowed to spend on their device each day. Schedule bedtime. Parents can remotely lock their child’s device at a specific time, such as when it’s time to study or go to bed. While the app might make monitoring your child’s device usage a little easier, Google stresses that it can’t magically make all the apps or services on their smartphone kid-safe. “It's up to parents to choose what's right for their kid. When you make the decision to give your child their own device, Family Link can serve as a tool that keeps you in the loop as they begin to explore,” Google said in a statement. The app is still in early access, so parents will have to request an invite to the Family Link early access program. Additionally, it’s only available to parents with kids under 13 years old.